The headline definitely stopped me in my tracks. The bottom line is this: churches who are abandoning the Bible as the authority from which they teach, preach and admonish their people, are in free-fall decline. That’s across the denominational spectrum: Episcopal, Presbyterian, Lutheran, Methodist, Baptist, etc. The churches who are waffling on the truth are the churches who are losing members right and left. And this stands to reason in my mind. The Word of God is our authority. It is the foundation of the revelation of who God is and when you walk away from the truth of His Word, you will fall for anything. Therefore, as denominations and congregations walk away from the truth, they are in essence saying: “We’re okay with dying.” Ultimately, that’s what is happening to many churches. They are becoming pubs, rock climbing stations, restaurants, etc. And this is now happening in the South…in the buckle of the Bible belt. 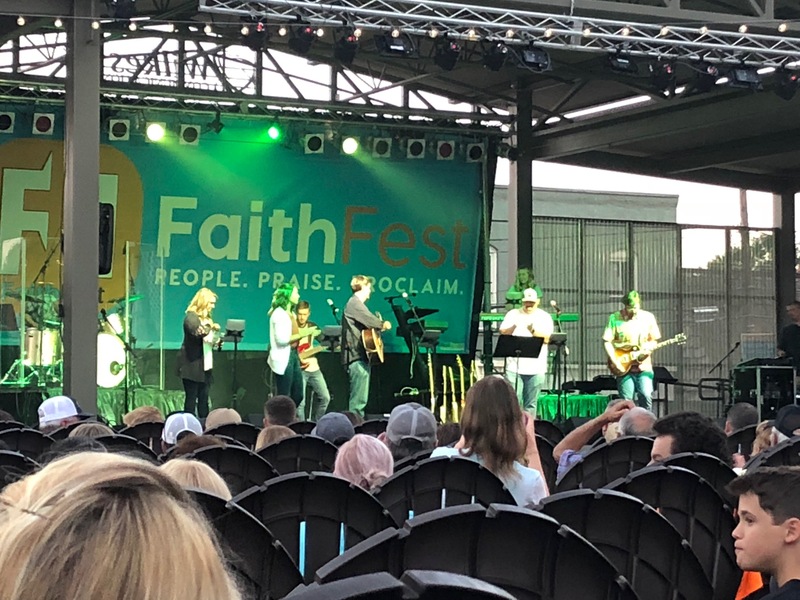 What a fantastic weekend it was with FaithFest. We started out with the preconcert on Thursday night. What a blast! Our Praise Team did an outstanding job! The crowd was amazing! I would guess at least 1,000 people came! The weather was perfect and what a time of rejoicing and celebration in the Lord! And then Saturday came and FaithFest!! Oh my!!! What a crowd!!! Estimates are 20,000+. That’s at least double from last year (the first year)! I really believe FF will become the largest Christian Concert event in the country within the next couple of years. 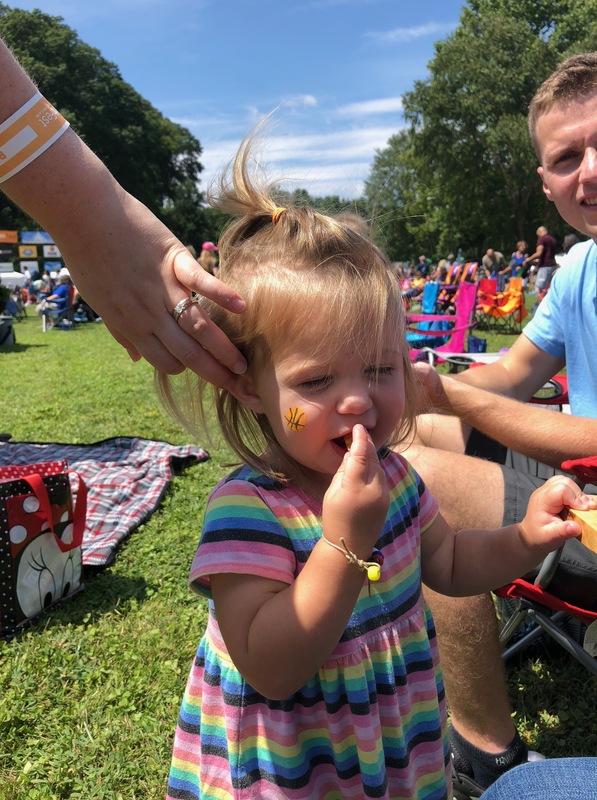 I know my granddaughter, Evie had a blast with the face painting! And of all the pictures she could have chosen to be painted on her face… She chose a basketball! That’s a girl after my own heart! 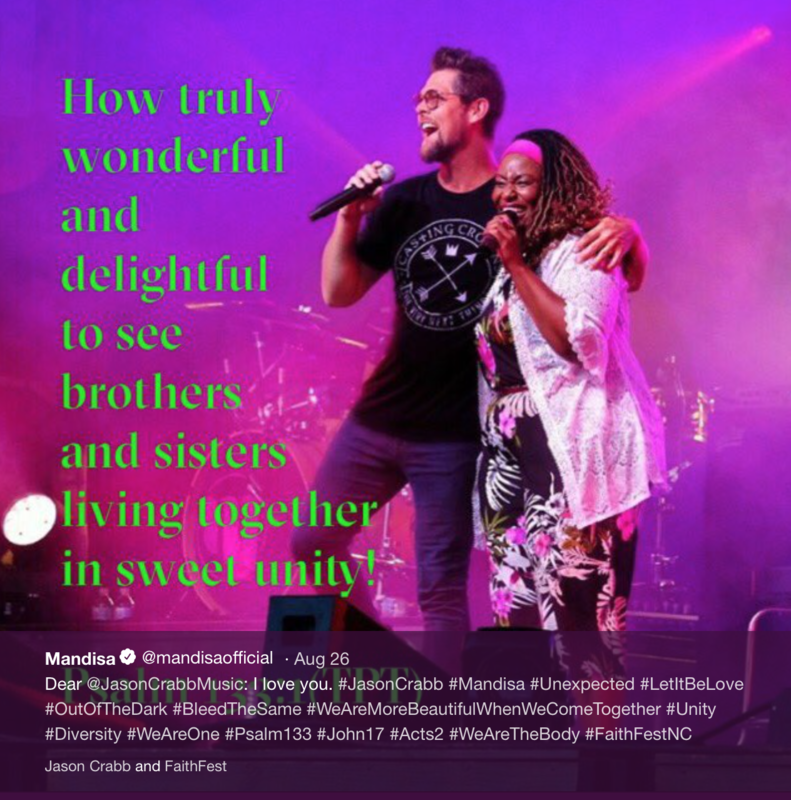 Mandisa and Jason Crabb! My heart rejoiced as they were singing: “Bleed the Same.” Truly, for me, it was a taste of heaven Saturday night. I watched the moon come up and the stars circle the Wilkes Community College field and I thought, “Lord, thank you for blessing us with this taste of heaven.” I honestly can’t wait for next year! It was a great weekend at church too. Can you believe this… We had 704 people at church on Sunday! Are you serious!!! Yes! Now, again…I don’t get caught up in the numbers. I never have. But, they do represent people. 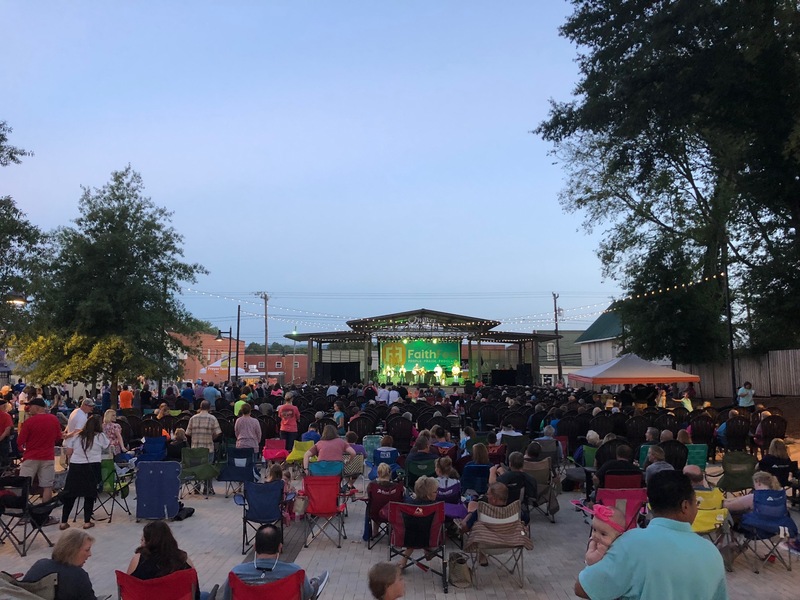 And that’s A LOT of people for a church in the capital of podunk! 🙂 The Lord continues to blow our mind as people come to worship and learn from the Word of God. 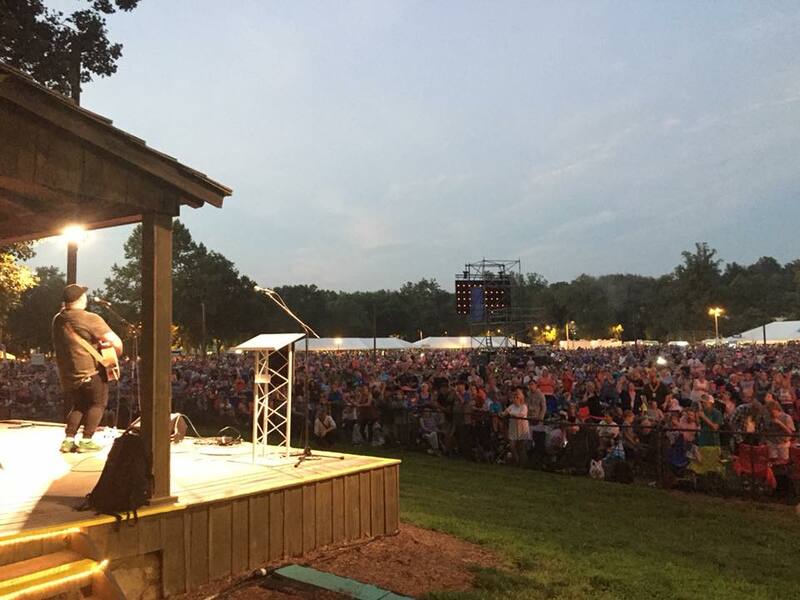 Jesus said, “If I be lifted up, I will draw all mine to myself.” We are seeking to do just that and this past weekend…I saw 1,000+, 20,000+ and 700+. Thank you Jesus!